It’s a sad time for many of us when we have to say goodbye to summer and hello to autumn. After all of the glorious beach days, barbecues and warm nights spent underneath the stars, it’s no wonder why we cringe at the mention of chillier weather approaching. The kiddos aren’t too pleased about the major change in schedule as well, and who could blame them when back to school session is inevitably closing in. There’s no doubt, the transition is a tough one for us all but what if we could look at some of the brighter points of beginning a new fall? Specifically, the stunning array of fresh color that will drape across the landscape in the weeks to come? 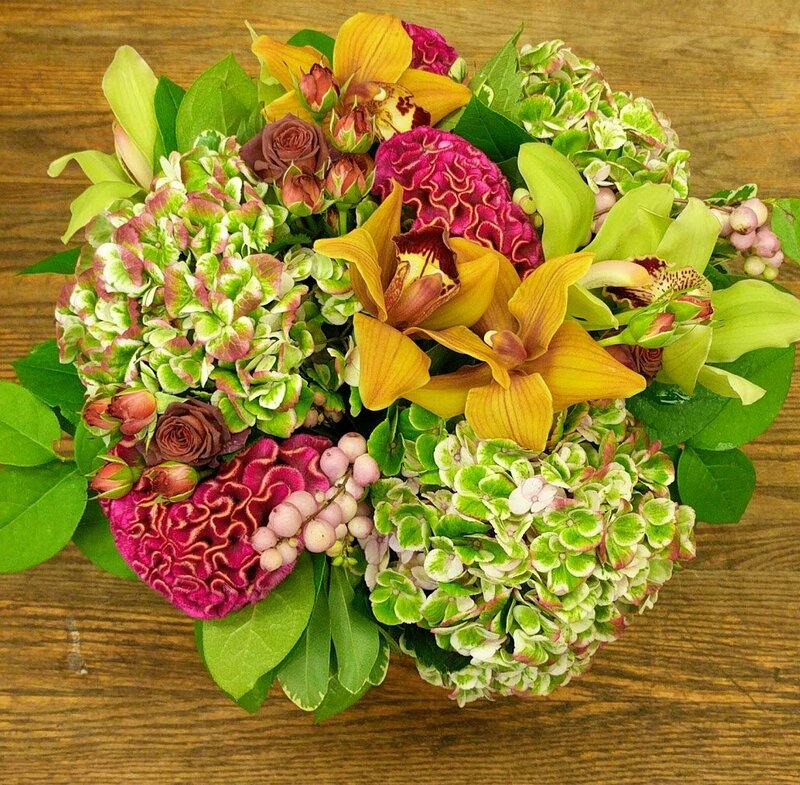 Yes, Boston florists are consistently pushing the idea to their favorite clients that just because the summer blooms have faded, it doesn’t mean September back to school flowers aren’t just as beautiful as their preceding species! Think gold, red, orange, green and yellow, which are designer’s top choices when selecting this season’s premier palette. While the steamier months of the year boast wildflowers and garden varieties with an airy personality, things are nicely swapped up for a more rustically dignified presentation when September arrives. Imagine bright sunflowers, green/burgundy foliage and decadent blooms such as celosia and amaranths to get your creative floral wheels turning! The possibilities are endless but here’s a few back-to-school crowd pleasers which are sure to never disappoint! So you’re heading back to college (YAHOOO!) and planning on the décor, which will make your dorm bedroom not only comfortable but also welcoming for friends who will soon be dropping by. If you’ve already hit Target, there’s probably a trendy comforter with throw pillows and a string of white, holiday lights packed away along with other cool accessories you know will look great up on your walls. It’s a fact that teens across the country compete to create the “chicest” living area, hoping to become the official hangout on the floor. Looking back at my college days, I remember how hard we all tried to add our own flair of unique personality to our personal areas, which transformed an ordinary room into something especially made for us. For artists, there were paintings, for musicians there were guitars-everyone had their story to tell and we did it through the objects we chose to display. For me, you’ve probably guessed that I had to have lots of things growing around me, whether they were plants or arrangements-it was a necessity I craved. Since I worked on the weekends for my parents who owned a wholesale flower company in the city, it wasn’t hard to make this happen. Not only did I drive back to school with a little extra cash to pad my wallet, I also brought back bunches of my favorite varieties that I would arrange in large vases and place around my room. As you can imagine, my dorm room definitely stood out from the rest and quickly became the site for Sunday movie watching and Saturday night pre-gaming. Through flowers, I had made a special placethat friends felt welcomed and soothed through the use of color, texture and aromas. I get it… I get it… Not everyone has a flower shop available to grab a few freebies and due to the fact that the majority of college kids out there are broke-you’ll need to think outside of the box. 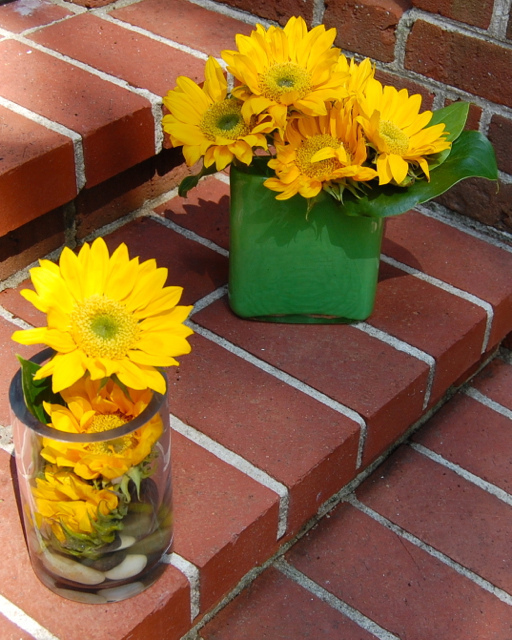 Never fear, there are some really cool and inexpensive ways to infuse flowers into your dorm life and you don’t have to be a designer to pull it off. Try these DIY tips to make your college living space a special retreat! Place a cactus inside a mason jar. You don’t need to water it often and they cost around $10 bucks to buy. Succulents are only about $5 and are also low maintenance for that busy student to maintain. Peace lilies are cheap and give a room a pretty plant “feel” as well as bamboo that infiltrate a “trendy” appeal.